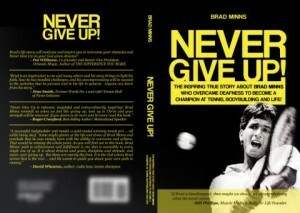 When I first met Brad, he was my tennis instructor at a local community park. 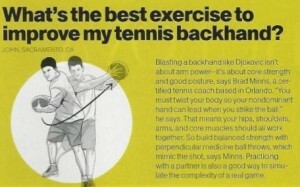 He really helped me by pointing out new techniques and improving my tennis habits. With his help I was able to elevate my game to the competitive level that I enjoy today. Having been exposed to Brad’s inspirational and upbeat personality, I became interested in exploring his personal training services. I have weight trained with Brad for the past 12 months and have achieved much more than a well toned and fit appearance. I have learned what a “fitness lifestyle” means and how to live it. His motivation and commitment in working with me has had an immeasurable impact on my self-esteem, my confidence in my physical capabilities and helped me develop a champion mentality. I first met Brad back in 2008. During that time I was just getting back into the sport of tennis after being away from the game for many years. I was out of shape, and 37 pounds over weight. I could barely play tennis for 30 minutes without being completely winded. Brad introduced me to the Body for Life training program. During the next 9 months I lost 37 pounds of fat, gained muscle strength, and developed my cardio fitness. I achieved my goal of becoming a fit tennis player. But more importantly I really learned how to discipline myself with the proper lifestyle to maintain my fitness. I owe all this to Brad ! He took the time to show me how to weight train properly, and how to think like a champion !